Are you working for the weekend? Yes! It’s almost Memorial Weekend which means, for most people, a nice three-day weekend. Last year our Memorial Weekend update included information about flooding and closures. 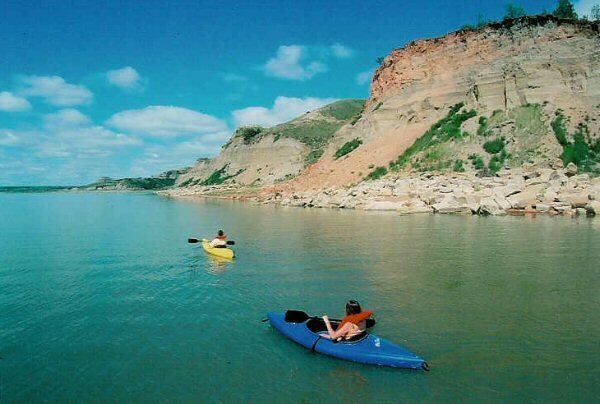 This year we’re happy to say – Missouri River boat ramps are open! All 18-holes of Bully Pulpit Golf Course are open! Campgrounds in the Badlands are open! The Dakota Zoo is open! And that’s just the tip of the iceberg for fun experiences you can enjoy this weekend and all summer long in North Dakota. 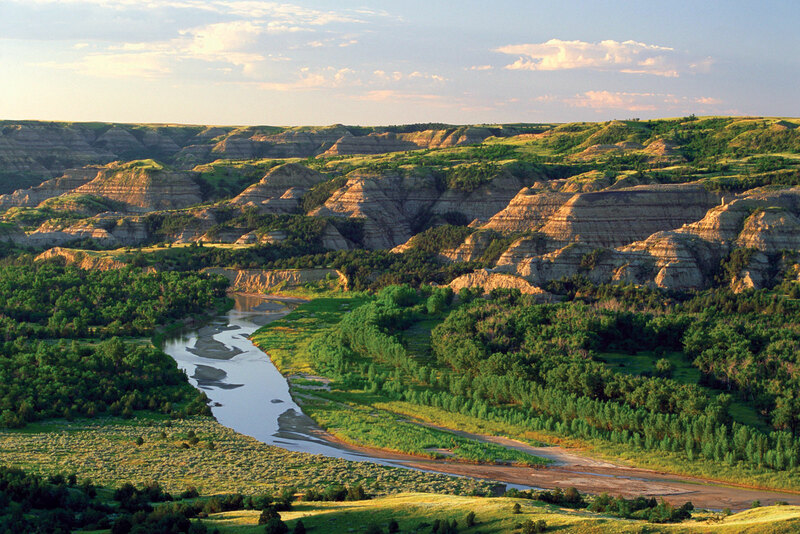 Looking for some North Dakota travel tips? Be sure to pick up an official North Dakota Travel Guide and state map. They’re free and if you don’t already have one you can pick them up at rest areas or order online and we’ll mail them to you. Check your routes online with the ND Dept. of Transportation. A travel information map will alert you to any road closures or construction. Here are a few events on our weekend calendar and you can find many more at www.NDtourism.com. 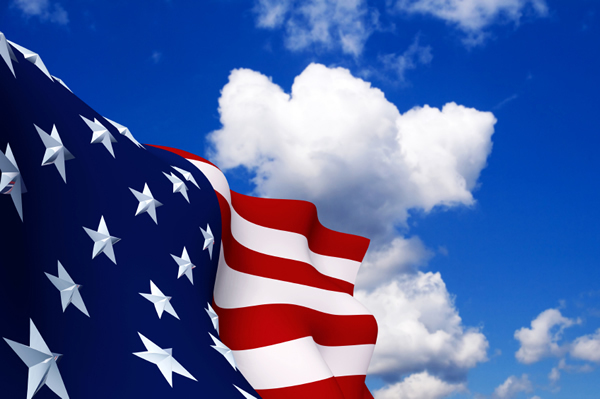 Memorial Day is Military Appreciation Day in all North Dakota State Parks which means free admission for veterans and current service members. The Sky Dance Sakakawea kite festival will take place at Fort Stevenson State Park – May 26-28. How about a Wild West Shootout? The gunfire goes down at 3 p.m. on Monday in the Frontier Village in Jamestown. Kick back with some cowboy poetry, May 26 in Medora. Memorial Day services are held in communities around the state. One of the most notable takes place in Sherwood where veterans from the U.S. and Canada exchange flags at the International Boundary. A program and parade will follow with North Dakota’s Lieutenant Governor Drew Wrigley as keynote speaker. Enjoy your weekend and be sure to share your vacation stories and pictures on our Facebook page. I’ve posted before about my husband – a Minnesotan who has become one of North Dakota’s biggest promoters because of the accessible (and pretty fabulous) hunting and fishing here. Well this guy LOVES his Missouri River. It’s no secret that this has been the warmest winter on record in North Dakota. Most of the state had little to no snow all season and now the daytime highs have consistently been in the 50s, 60s and even 70s from border-to-border. So what does that have to do with my dear hubby and fishing? As I was being informed of the boat ramps that have opened in Bismarck and Mandan he also reminded me that in some states, there’s a season opener that’s still weeks away. Here in North Dakota, our walleye/pike season never “closes” or “opens.” And as many anglers know – that spring bite can be awesome. HOW awesome? Just last week a new state record lake trout was caught. Royce Johnston of New Town reeled in the 16-pound, 6-ounce lake trout from the Garrison Dam Tailrace (on the Missouri River). The 33.5-inch fish broke the old record by more than two pounds. The previous record of 14 pounds, 4 ounces was taken from the Tailrace in 1982. 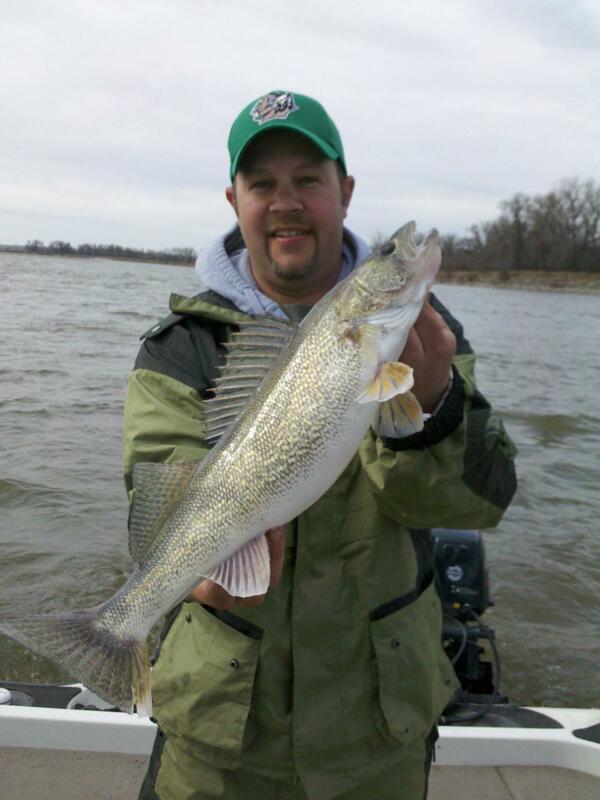 Fishing North Dakota is easy! Just visit the Game and Fish Department for licensing, waterways and boat ramps. You can also get the latest with the North Dakota Outdoors on Facebook. Follow @OutdoorsND on Twitter for great information around the state because, not only is the fishing open, golf courses are opening too! The first we’ve heard of are Heart River in Dickinson, Pebble Creek in Bismarck and the Edgewood and Rose Creek courses in Fargo. Several others have told us that they could be opening in the coming weeks! And if you happen to be going out tomorrow on the Missouri River – it’s expected to be 80-degrees and you can look for my hubby in a green Fisher. Two-hundred-seven (207) years ago today, the Lewis and Clark Expedition crossed into what is now North Dakota. 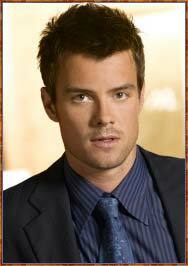 During their time, it was known as the Upper Missouri, or the Great Bend of the Missouri, or Upper Louisiana. For Lewis and Clark, North Dakota was the transition zone between the familiar and the unfamiliar, between lands that had already been mapped, named and described and terra incognita. They hadn’t originally planned to winter with the 4,500 Mandan and Hidatsa Indians of the Knife River earthlodge villages. Clark planned to get as far as the “Rock mountains” before winter and Lewis expressed uncertainty about where they would stop. But when the captains began to notice ice forming on their rowing oars and experienced their first northern plains snowfall on October 21, 1804, they realized that they must soon establish winter quarters. Five days later, they made their first substantial contact with the Mandan Indians, who had a reputation for being friendly to visitors. And they ended up staying 197 days on that outward journey. North Dakota continues to have a welcoming and friendly reputation. 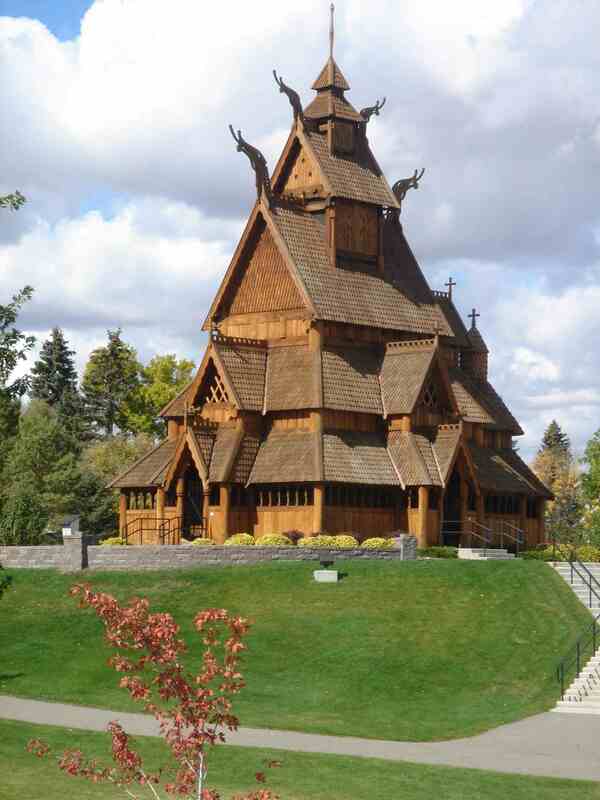 In fact, Cambridge University called North Dakota the most friendly state to visit. And here, the Lewis & Clark story can be discovered by modern explorers. 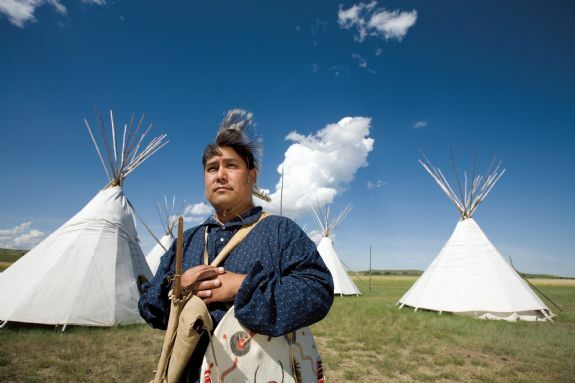 At Knife River Indian Villages National Historic Site, Stanton, visitors can step into a reconstructed earthlodge, walk to the Sakakawea Village site, and in the modern visitors center, view traditional clothing, tools, art and more. 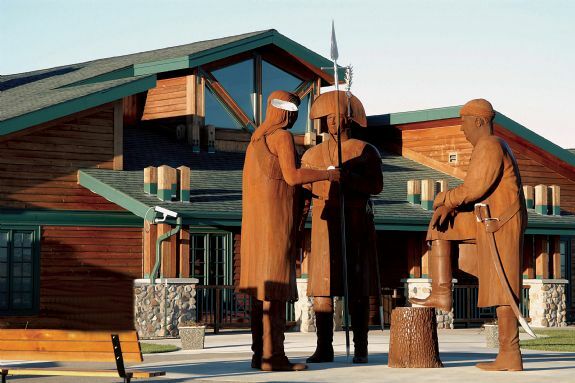 The Lewis and Clark Interpretive Center in Washburn is the comprehensive stop to learn, see and experience the Corps of Discovery. 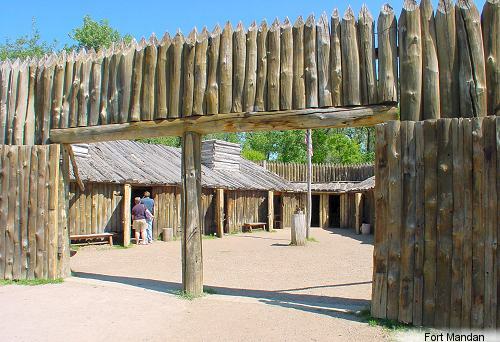 These sites are open year-round and winter events at Fort Mandan mean you can step back into the period when Lewis and Clark walked the same trails. Details of the Lewis and Clark Expedition in North Dakota can be found in the book, A Vast and Open Plain, written by Clay Jenkinson. Kicking off your summer with a Memorial Day Weekend vacation? North Dakota Tourism invites you to have some Legendary fun! As you’re planning, we’d like to share a variety of updates and travel resources. Certain parts of the state are experiencing the joys of Mother Nature – but rest assured, there’s plenty to see, do and explore. Record water levels in Medora are currently affecting access to Bully Pulpit Golf Course and the Chateau de Mores State Historic Site. Please call ahead to check the status of attractions in Medora as you’re planning your trip. The Medora Musical will open as scheduled June 10. Due to unprecedented record and late snowfall in the Rocky Mountains, record inflows of water have raised Lake Sakakawea resulting in extreme releases from the Garrison Dam and into the Missouri River. Fishermen are still getting out on the river and just need to be aware of the no-wake zone from the Garrison Dam to the McLean Bottoms/headwaters of Lake Oahe. 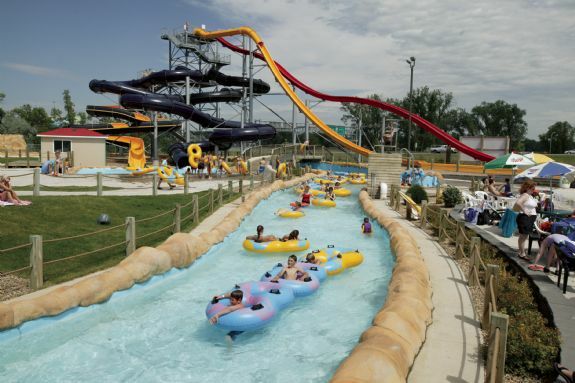 Veterans are admitted free at state parks and numerous attractions – like Bonanzaville, USA in West Fargo. Devils Lake is hosting a Memorial Motorcycle Rally with three days of riding, games and more. The Sky Dance Sakakawea kite festival will take place at Fort Stevenson State Park. How about a Wild West Shootout – 3 p.m. Monday at the Frontier Village in Jamestown. For updates on travel information AND fun events – be sure to “like” Travel North Dakota on facebook and @TravelND on twitter. I answered the phone yesterday to this greeting, “I can’t take it anymore.” Thinking that something may be wrong, I got concerned. The response was, “Keith keeps texting me about all the fish he’s catching; I’ve gotta get out there.” And thus began my husband’s afternoon on the Missouri River. That was followed up by this morning’s journey to the Missouri River. And in these two days of fishing I’ve gotten these photos texted to me. You could say the fishing in North Dakota is already pretty good … and considering anglers haven’t gotten out on Lake Sakakawea and Devils Lake yet, it’s only going to get better. 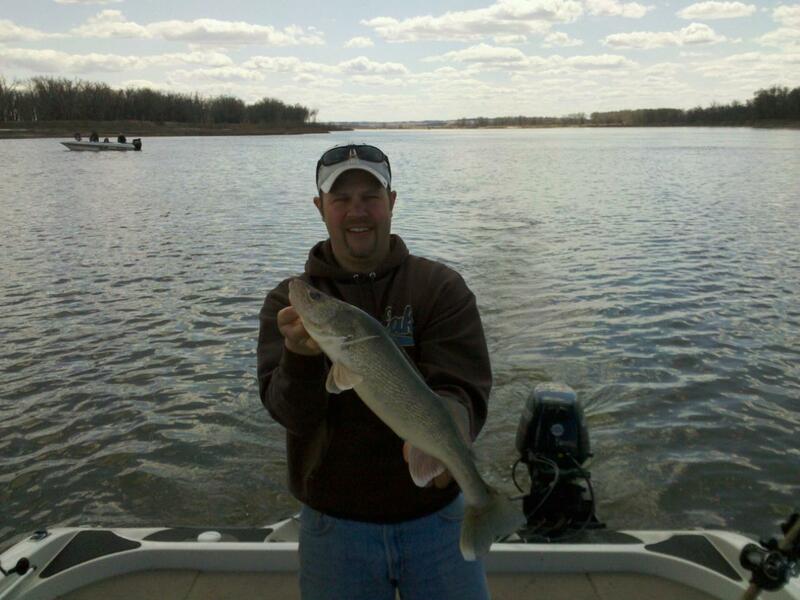 The season doesn’t close/open for North Dakota fishing, with the exception of paddlefishing – which opens on Sunday, May 1. The season is scheduled to run through the end of May, though state wildlife officials will close it early to protect the fish population if it appears too many paddlefish will be caught. That’s happened eight times in the past 10 years. North Dakota’s Game and Fish Department has the info on this exclusive season. The paddlefish is one of the largest freshwater fish found in North America. It’s often desired for its caviar, and a Williston nonprofit called North Star Caviar harvests the paddlefish eggs and sells them to raise money for community grants and paddlefish research. A new paddlefish state record was set in 2010 when then 16-year-old Alex Mergen snagged one weighing at least 130 pounds.